Ganesha Mudra strengthens the heart by opening the bronchial tubes, improving blood circulation and by opening the heart chakra. 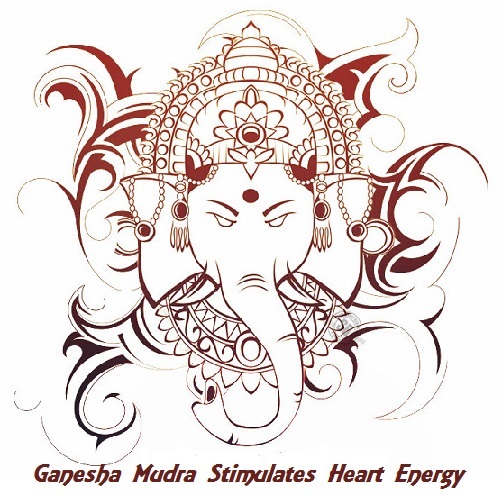 It is named after the beloved Hindu God Ganesha – one who removes the obstacles from your life. 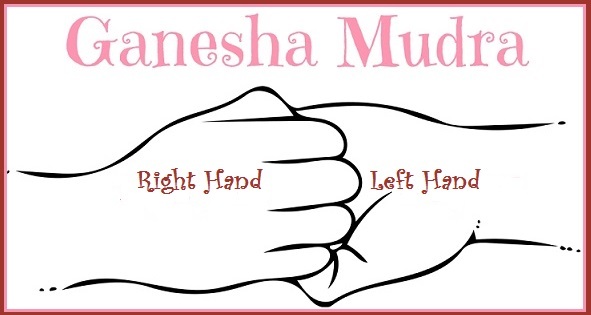 This is a powerful mudra for bringing heat and brightness to the heart. It strongly invigorates the chest cavity, your heart beats faster, warmth envelops the heart center and creates a rush of mighty energy. If you are living in a state of depression and in the absence of trust and openness, please practice it regularly. It will improve the love, compassion, courage and openness around you. Hold your left hand in front of your chest with the palm facing outward. (Thumb toward the naval and pinky toward your collar bone). Now grasp the left hand with the right hand, with the back of the right hand facing outward. Leave the hands at the level of your heart. Take a few moments and inhale fully. Exhale vigorously, while forcefully pulling the hands apart without releasing the grip. With your inhale, let go of all the tension. Then gently place your hands on your heart chakra. Focus on the energy you are feeling. Continue by interchanging hand positions, with your right palm facing outwards and the left palm facing inwards and repeat the steps above 6 times. Release all tension from the arms and again place your hands over the heart chakra. Sit in this position for as long as your like and focus on your breath. Feel free to finish with repeating the following affirmation or create your own. Affirmations are powerful, so consider repeating throughout the day!